Some of you might have noticed that this blog has been a little quiet lately. Following a Highveld storm two weeks ago, I have been deprived of the internet at home until today when a particularly determined technician managed to restore the connection – and my sanity – at last. 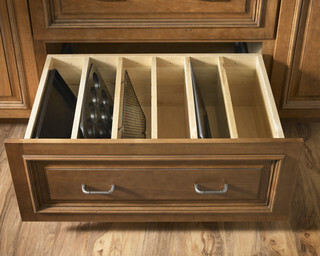 This looks like a practical way to store utensils. 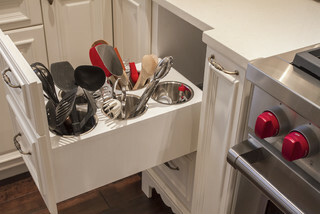 Since I usually come off second best in the battle to extract baking trays and muffin tins from my pot drawer, this storage option really appeals to me. It should also put paid to the cacophony of a discordant percussion band that accompanies my efforts to extract the tray I need – always the one somehow at the bottom of the pile. 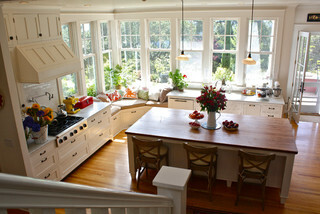 Perhaps it’s the light from the beautiful windows in the two kitchens below, but I absolutely love them. I am leaning towards white cupboards again and will be having a wooden floor. There will also be a bay window on the northern side of the kitchen. At the moment the plan is to have a two-seater sofa in the window rather than a built-in seat but this could still change. Movable furniture is more versatile and although I love the look of window seats, sofas are more comfortable. 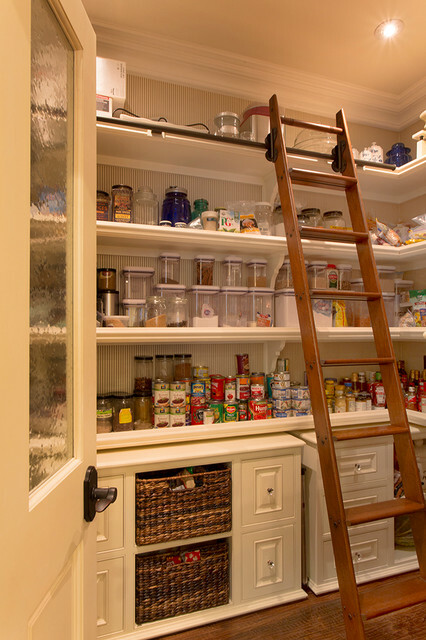 Great pantry but won’t have the space for something this generous. Love the ladder. What is it about ladders? And finally, a bit of whimsy. 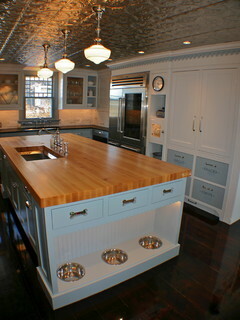 Very sensible to have the pet food bowls lifted off the floor but a pity about the ceiling. 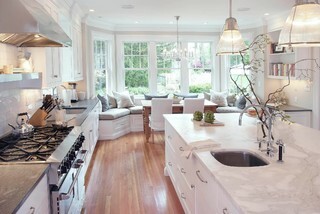 I look forward to getting some feedback on the general ‘look’ of these kitchens. Any suggestions and ideas would be very welcome.